We were delighted to host a event organised by the Dacorum Interfaith Network in September – a talk by Jay Lakhani (standing centre), a spiritual humanist, Hindu and theoretical physicist. Dr Lakhani explored questions of physical and spiritual identity in the light of recent scientific discoveries. Being open to the light wherever it comes! of Quakerly thoughts for Chris. in the Meeting House again. Keep in touch, Chris. Visit often. Suzanne took the photos in our garden. L to R: Paul Sandford, Amisha Patel, Nigel Kidd, Reynold Rosenburg and Norman Spink. 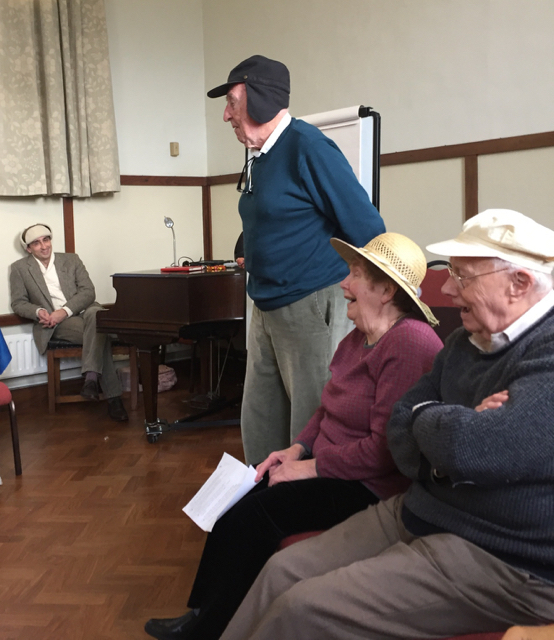 Following the closure of the Civic Centre at the end of 2016, the Dacorum Interfaith Network found themselves without a home, so Hemel Quakers have offered a room at our Meeting House. Because a Quaker meeting house does not have any religious symbols or imagery, its very plain style easily accommodates use by the wider community. The Dacorum Interfaith Network meets once a month at 8pm on the second Monday in the main hall until further notice. It is hoped that the Network will eventually find a secular home at the new Forum building, but until then they can enjoy the facilities at the 300 year-old meeting house – now including wifi and digital projection. For more information about the Dacorum Interfaith Network, email normanspink@hotmail.com or find and join the Facebook group. Hemel Quakers can also talk to our representative, Suzanne Watts. It’s almost an institution among Hemel Hempstead Quakers. We gather to eat a buffet lunch and enjoy the entertainment provided by those of us who have rashly volunteered to “do a turn”. Admission is by hat: everyone must wear some kind of headgear. 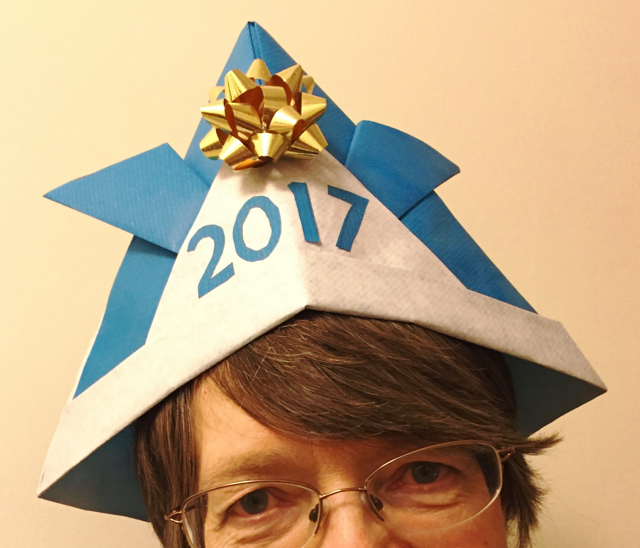 This year they ranged from the sporty to the monstrous, and the prize for the best was awarded to Kathy for her initiative in making her own strikingly original hat to a Japanese origami design. Over our excellent buffet meal we could exercise our brains with a quiz provided by Sherief in which we had to fit photos of art works past and present in Hemel Hempstead to their locations. 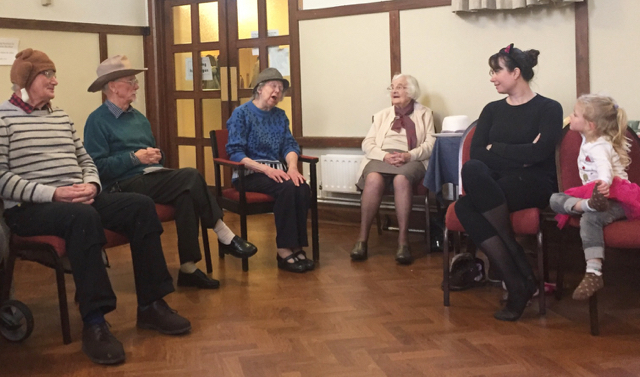 Jean read us a poem which might make us all aspire to reach the age of 100. Bob made us laugh with some suitably groan worthy old jokes, giving us the opportunity to supply the punch lines. He then demonstrated his impressive progress on the ukulele. 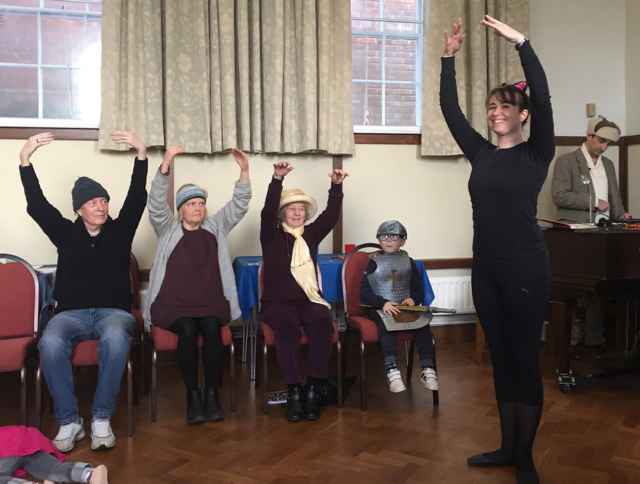 Alice directed us in an armchair ballet to music from Swan Lake. How beautiful Alice made it look! 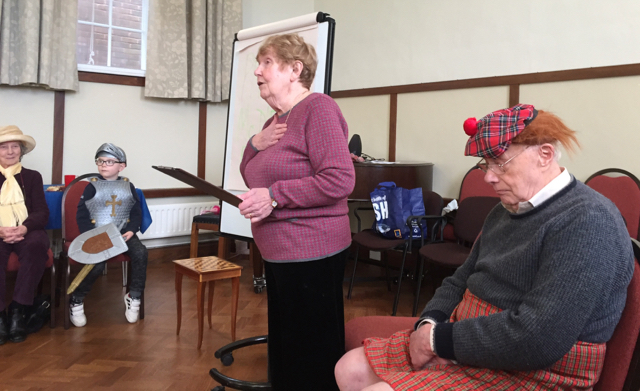 Sonia sang a lively yodelling song with actions and persuaded us all to join in. 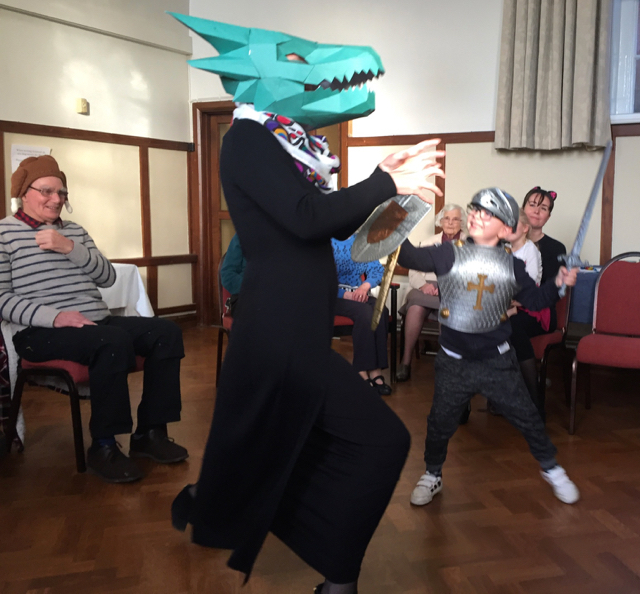 Roger, Sammy and Suzanne dramatically brought to life the poem Jabberwocky, with Sammy in his realistic suit of armour. Sammy made a grand job of slaying the monstrous beast, who made a terrifying entrance wearing a very frightening piece of headgear, another origami triumph and Roger’s handiwork. 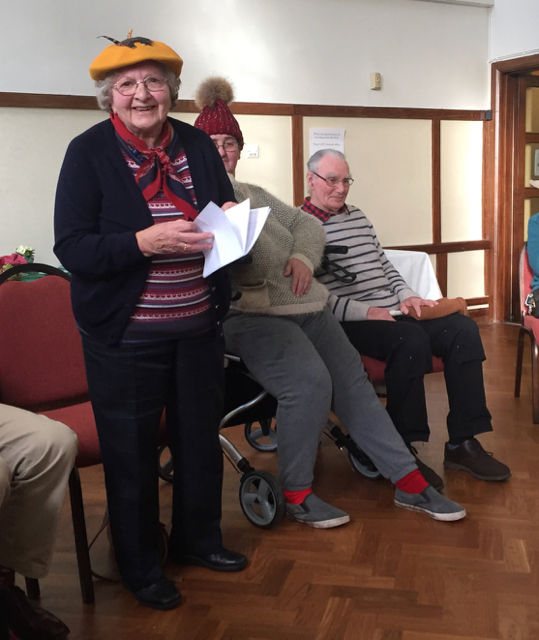 We owe our thanks to all those who did a turn or contributed an item, to Christabel for organising the lunch, to Sherief for the quiz, to Alison F. for her supply of very welcome hot drinks, and most of all to Suzanne who organised it all. The week prior to the 18 July vote in Parliament on Trident renewal was a busy time for many at Hemel Meeting. 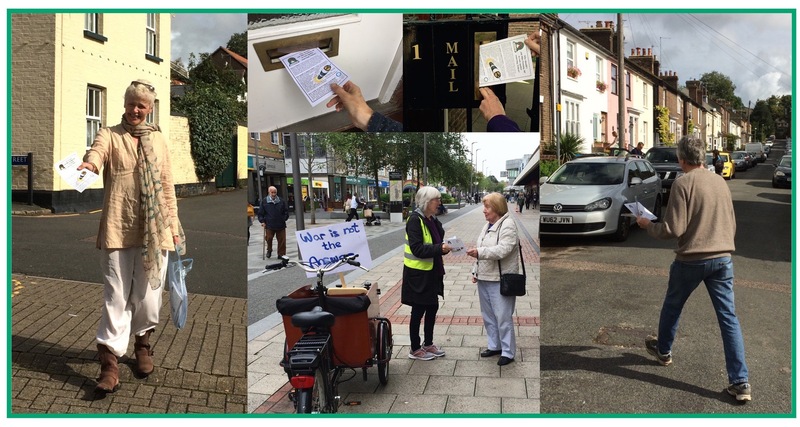 We spent hours distributing leaflets asking our local MP to vote No and explaining why. With a Friendly attitude, we talked to people, walked the streets placing them in post slots (sometimes against the wishes of barking dogs), and handed them out in the middle of Hemel. Although Parliament’s vote was Yes, many who took the leaflets preferred No. They appreciated the leaflet, its helpful explanations and its positive attitude about alternatives. 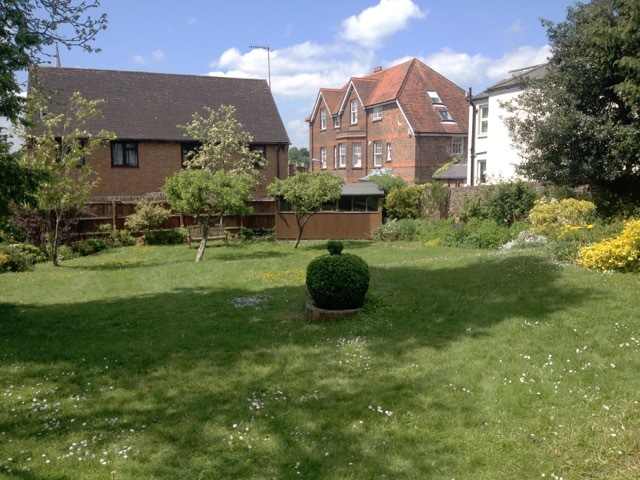 Our oasis of calm in the Old Town of Hemel Hempstead. It takes a lot of work to keep it green and peaceful. 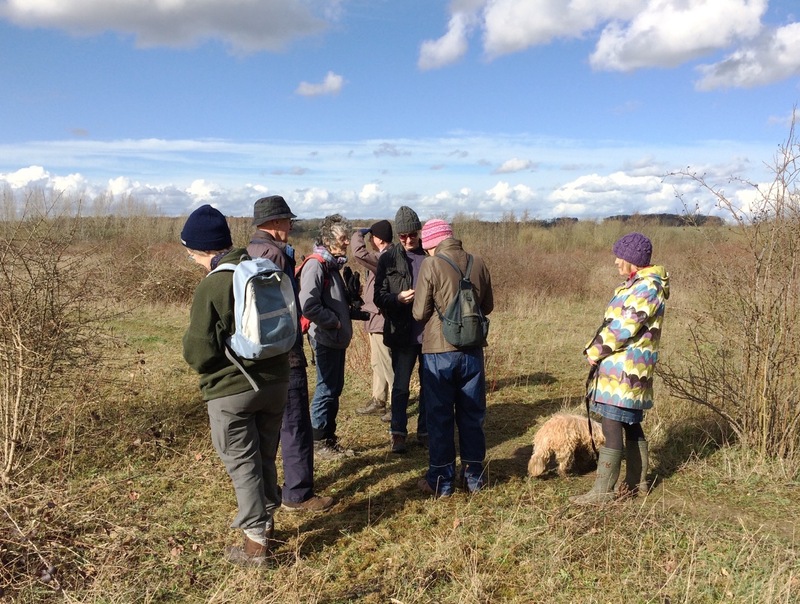 Seven of us enjoyed Hemel Meeting’s traditional Easter Monday walk on 28 March. 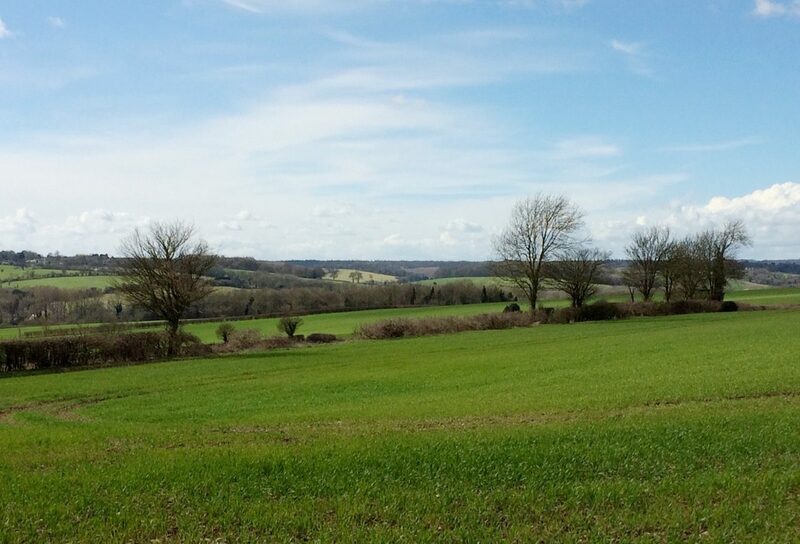 Starting in Gadebridge Park, we traversed the fields above Piccotts End. 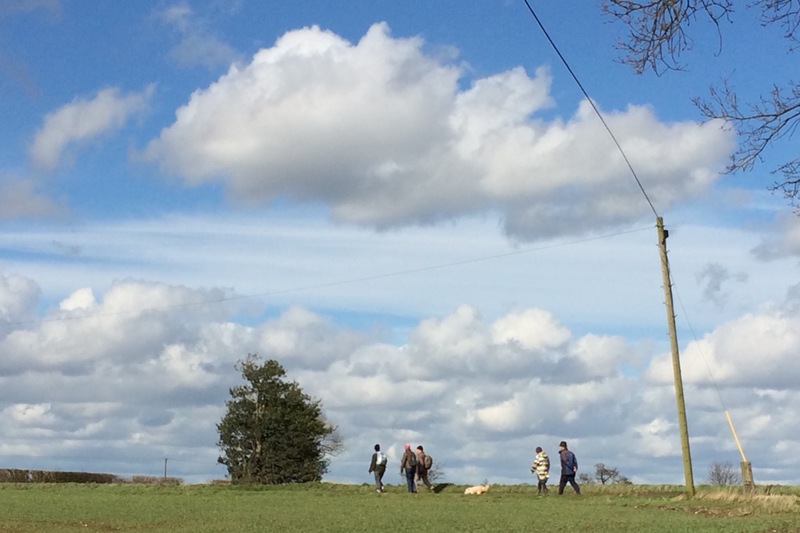 It was windy, and the views of the fields and hills were lovely in the early spring weather. We came back down Dodds Lane, crossed the Leighton Buzzard Road and walked up a muddy footpath to Halsey Field, near Warners End Wood in Gadebridge. 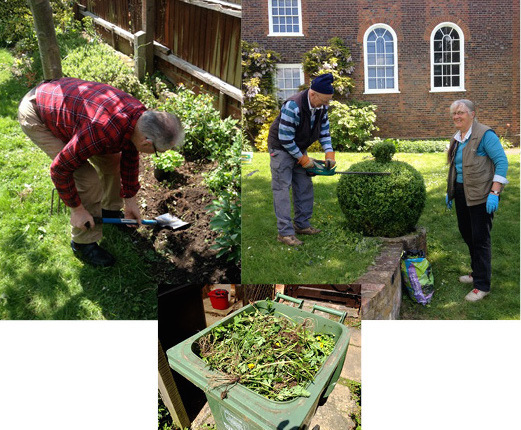 There we were met by Chris Ridley, who has organised interest in preserving Halsey Field. She described how in summer in particular, it is full of wildflowers attracting many species of butterfly, bee and hoverfly. Shrubs do their job, too, providing nesting sites, food for birds and insect habitats. If you are interested in helping her and others with preservation activities, email Chris at chrisridleysen@gmail.com. After posing for the picture, we set off for Gilbert’s to join others from Meeting who had gathered for tea. 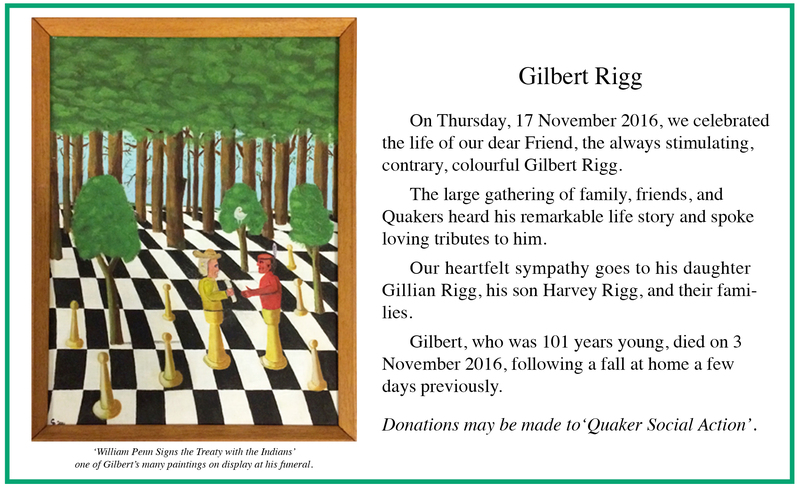 This week is Quaker Week! 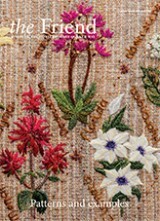 Visitors to the meeting house this week are invited to take a complimentary copy of ‘The Friend‘ magazine, featuring articles on Quaker work in diverse areas such as in Human rights, Conflict resolution, Climate change and Young adult leadership.